Crush the biscuits until completely ground. Add he melted butter until desired crumbly consistency. Add the biscuit mixture to a 20cm cake tin and pat till flat with the back of a spoon. Leave to set in the fridge for approximately 30 minutes. Break the chocolate up and begin melting it in a glass bowl over a small pan of hot water on a low heat. Make sure the bottom of the bowl isn't touching the surface of the simmering water below, Stir occasionally to prevent sticking once almost all melted remove from the pan and set aside to cool slightly. Beat gently together the cream, philadelphia and mascarpone cheese, dont over beat or it will go too stiff. Add the melted chocolate to the mixture and stir in. The mixture may seem slightly 'curdled' just continue whisking. Spoon the mixture over the biscuit base. Return to the fridge to cool for around 3 hours or over night. Finally decorate with your desired topping. 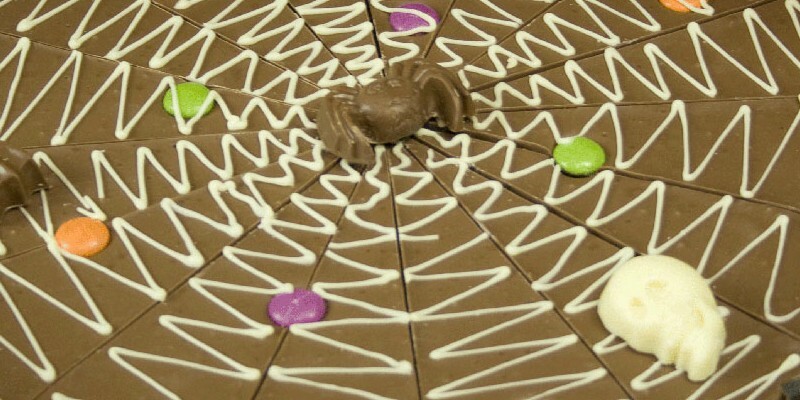 If you like white chocolate then have you seen our Raspberrymac chocolate pizza? It is a delicious mix of freeze dried raspberries, amaretti biscuit and white chocolate. 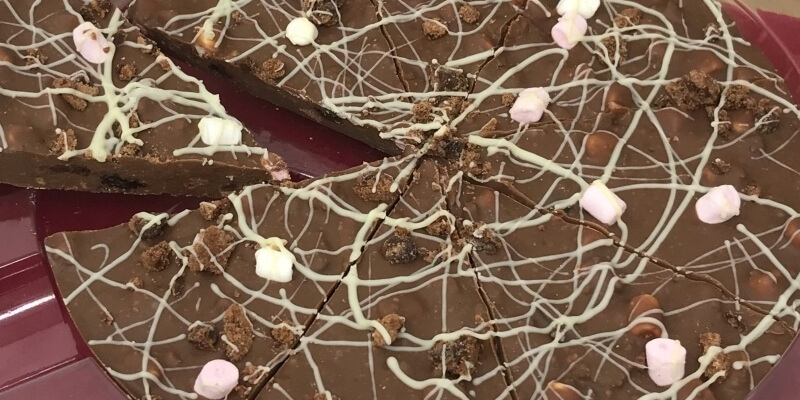 If you like the combination of fruit and white chocolate you could also try our Fruit Frenzy chocolate pizza which combines white chocolate curls with freeze dried raspberries and bluberries. Perfect for the Spring and Summer seasons.